Movie poster for “Chicago” (2002), courtesy of Miramax.com. “Yes, it was me! I shot him and I’m damned glad I did! And I’d do it again-,” cried Roxie Hart, the achingly beautiful murderess conjured up by reporter-turned-playwright Maurine Dallas Watkins. Inspired by crimes she covered for the Chicago Tribune in the 1920s, Watkin’s 1926 play “Chicago” became an instant hit and has been continuously reinterpreted, from Bob Fosse’s 1970s production to the Oscar-winning 2002 Miramax film. 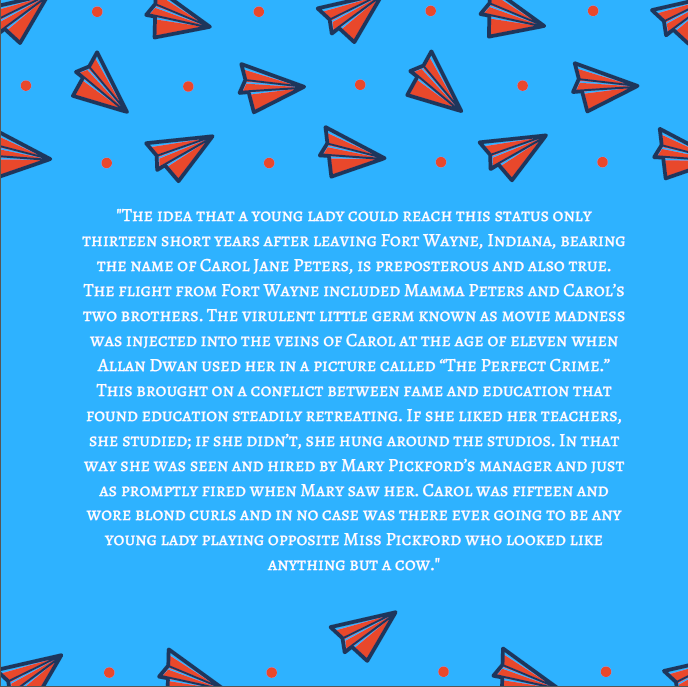 The Crawfordsville, Indiana native’s take on women murderers, who employed charm and theatrics to convince sympathetic male jurors of their innocence, earned the praise of critics and theater-goers. The Los Angeles Times noted that year “critics claim that the play is without a counterpart in the history of the American stage.” In an era of instant, often fleeting social media-derived celebrity, Watkins’ fame-obsessed murderesses who kept the press enraptured seem more relevant than ever. Maurine Watkins, News-Journal (Mansfield, Ohio), December 14, 1928, accessed Newspapers.com. After studying at Butler University in Indianapolis and Hamilton College in Lexington, Kentucky, she sought experiences about which she could write and contacted the city editor of the Chicago Tribune. 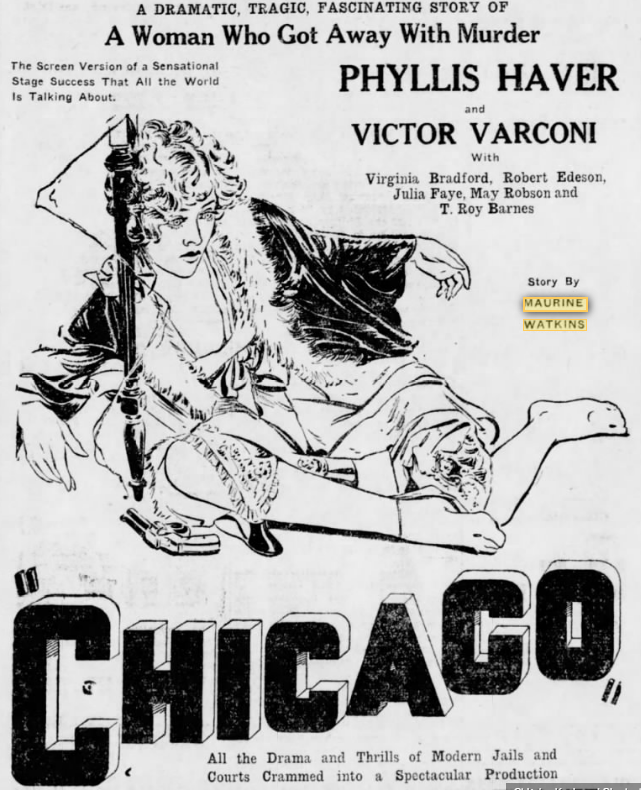 The newspaper, convinced by Watkin’s zeal, hired her to write about the city’s crimes from a “woman’s angle.” Her eight month stint as a “sob sister,” or women journalists who wrote about female criminals and were often sympathetic to their crimes (although not in Watkins’ case), inspired her to write “Chicago.” She described the piece as “‘a composite of many different happenings, while Roxy the heroine, was drawn from one of our leading ‘lady murderesses’-the loveliest thing in the world, who looked like a pre-Raphaelite angel, and who shot her lover because he was leaving her'” (Ind. Star). 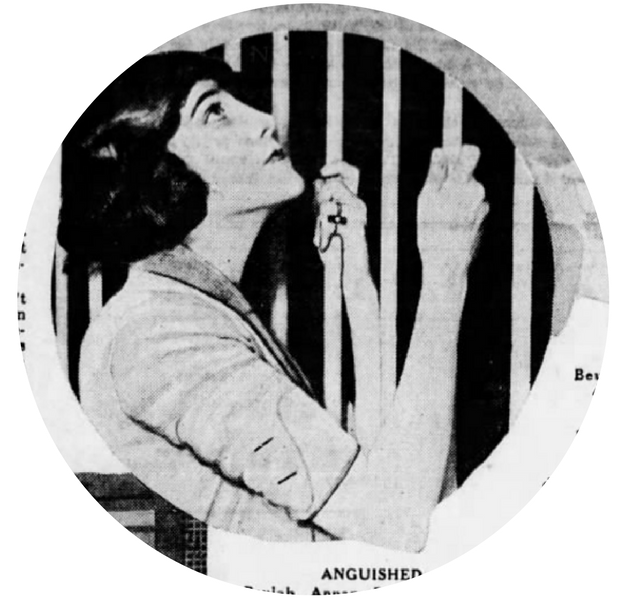 Beulah Annan in a Chicago jail cell immediately following her arrest for the murder of her lover, courtesy of the Indianapolis Star, April 29, 1928. 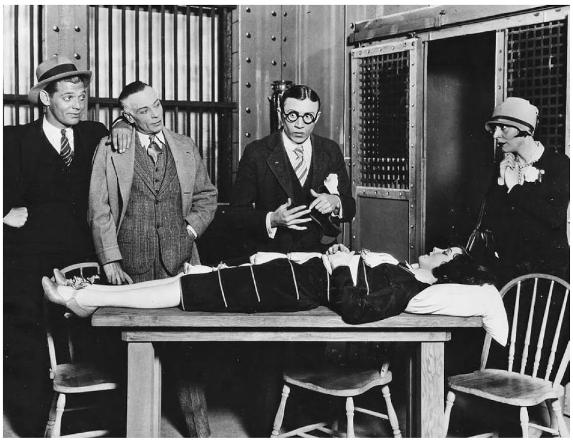 Watkins covered the 1924 trial for the Chicago Tribune and served as inspired for her play, accessed Newspapers.com. This murderess was one Mrs. Beulah Annan of Chicago, who confessed to killing her lover Harry Kalstedt. 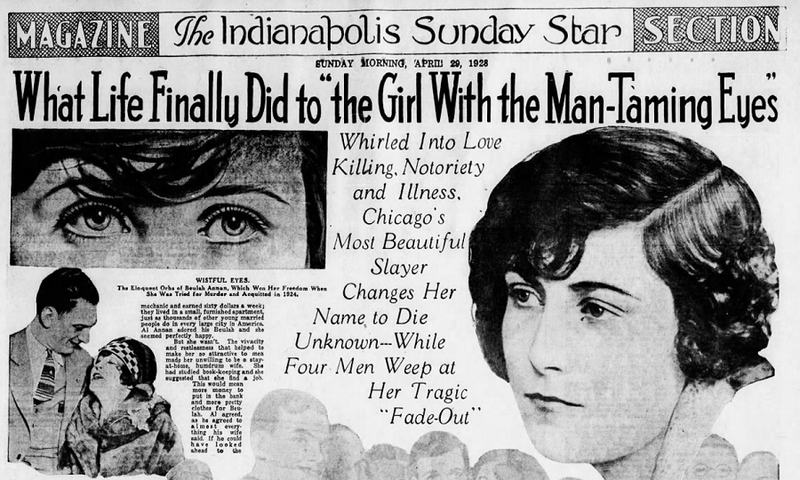 She was pronounced not guilty by a jury, swayed by her innocent persona and “man-taming eyes.” While Annan served as the inspiration for “Chicago,” the name of the play’s protagonist Roxie Hart was likely borrowed from a 1913 murder in Crawfordsville involving the lover of the deceased Walter Runyan. Like Annan, this lover was also praised for her captivating eyes and delicate features. Actor Clark Gable (far left) portraying a reporter in “Chicago,” courtesy of Gable Archives, accessed Clark Gable, in Pictures: Candid Images of the Actor’s Life. Ad, Harrisburg Sunday Courier (Pennsylvania), April 29, 1928, accessed Newspapers.com. Maurine with her father on a return visit to Indiana. She stayed with her parents at their farm in Clermont, Indianapolis Star, January 6, 1928, accessed Newspapers.com. 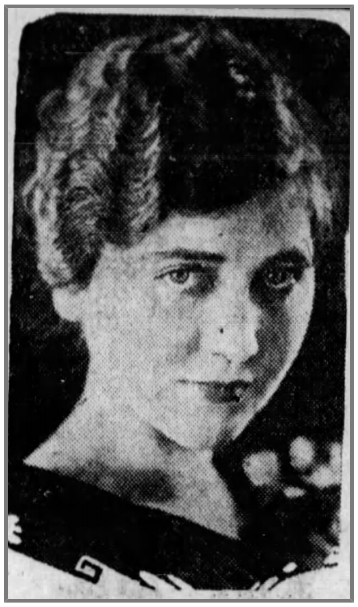 The Indianapolis Star reported that the reverend’s daughter still considered Indiana home, despite moving to New York following the success of her play. She recalled upon a return visit “‘I love it out in the country-life’s terribly complicated! You count the rings of the telephone to see if it is your number, and you have to go and meet the postman. '” The woman who wrote about a “flashy negligee of blue Georgette with imitation lace,” kept her hair “unbobbed” due to her father’s dislike of short hair. Following the success of “Chicago,” Watkins continued to write, but never achieved the same level of literary acclaim. She was commissioned to dramatize Samuel Hopkins Adams’ novel Revelry, about the Harding administration’s Ohio Gang, for which she conducted research at the White House. In April 1927, the newspaper hired her to cover the trial of Ruth Snyder, who murdered her husband. The paper noted that Watkins, a sobless sister, would “deal with facts, without tears, in a notable author’s inimitable way, from her place at the trial table in Queens courtroom.” She reportedly moved to Hollywood, writing screenplays and articles for Cosmopolitan magazine. The author later settled in Florida, where she died of lung cancer in 1969. Watkin’s three act play cemented her legacy among the pantheon of accomplished Hoosier writers such as Pulitzer Prize-winner Booth Tarkington, I Love Lucy‘s Madelyn Pugh Davis, and Crawfordsville colleague Lew Wallace. 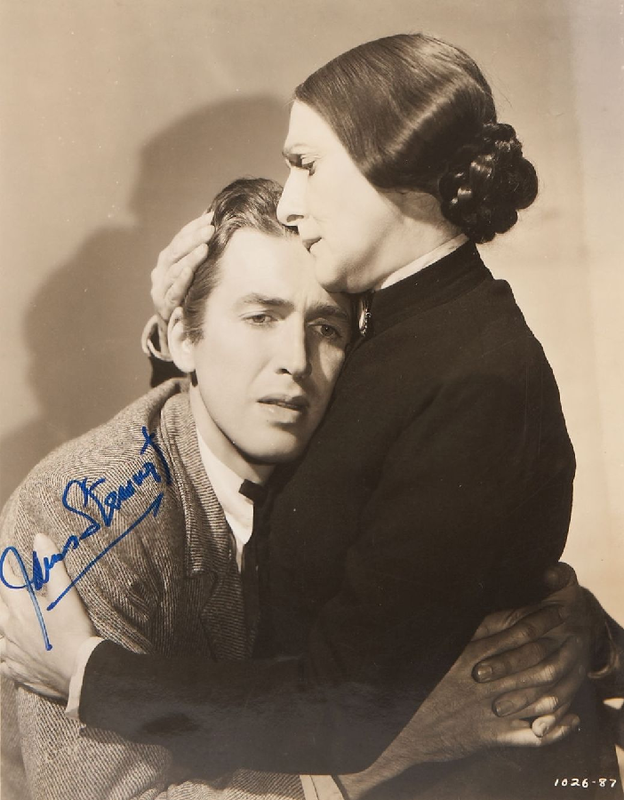 Jimmy Stewart and Beulah Bondi, courtesy of the Porter County Museum. 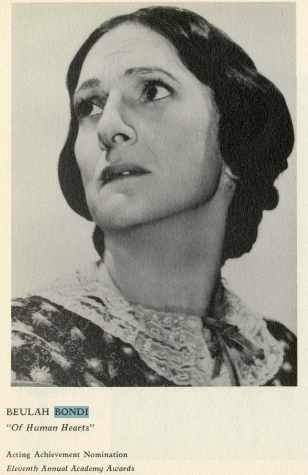 Beulah Bondi’s is not a recognizable name today, but her face certainly is. You’ve likely seen it in classics such as It’s a Wonderful Life and Mr. Smith Goes to Washington. The Valparaiso, Indiana native portrayed Jimmy Stewart’s mother four times on film, including Vivacious Lady and Of Human Hearts, in addition to Wonderful Life and Mr. Smith. According to the Chicago Daily Tribune, Stewart affectionately called Bondi “Mom.” By the ripe old age of 39, Bondi was cast to play characters well beyond her age and she became the equivalent of “Hollywood’s mother,” despite herself never marrying or having children. Depiction of Bondi’s character in “Track of the Cat” (1954), courtesy of Oscars.org. “America’s greatest character actress,” according to United Artists, MGM, and Paramount, was born Beulah Bondy in 1888. She got her start at the age of seven as “Little Lord Fauntleroy” at Valparaiso’s Memorial Opera House. After the lead actress fell ill, she had one week to memorize 47 pages worth of lines and became hooked on acting after delivering them on the stage. The young actress was drawn to “dramatics” and the stage throughout her public education, including her time at the Convent of the Holy Name and Valparaiso University. 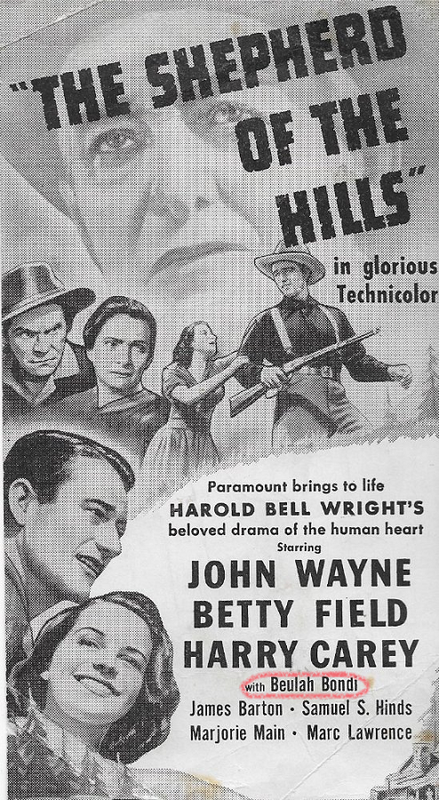 “The Shepherd of the Hills” promotional material, 1941, accessed IMDb.com. Following her work with an Indianapolis stock theater company, Bondi began her professional acting career in 1919. She was promptly informed by her first director that she “‘had no more talent than on the head of a pin. '” This criticism equipped her to endure even the most difficult directors of stage and film. In 1925, Bondi made her Broadway debut, beginning a prolific Broadway career that would eventually deliver her to Hollywood acclaim. According to the Valparaiso Vidette Messenger, film producer Samuel Goldwyn viewed her Broadway performance as a bigoted neighbor in the three-year run of Elmer Rice’s “Street Scene” and brought her to Hollywood. Bondi reflected in 1976 that “With each part, I ‘meet the woman’ for the first time when I read the script . . . And then I imagine her past life-what made her into the character she is.” She appeared in over 50 major films, appearing with Hollywood greats such as Clark Gable, Greta Garbo, Joan Crawford, Fred MacMurray, Barbara Stanwyk, and of course her “son” Jimmy. 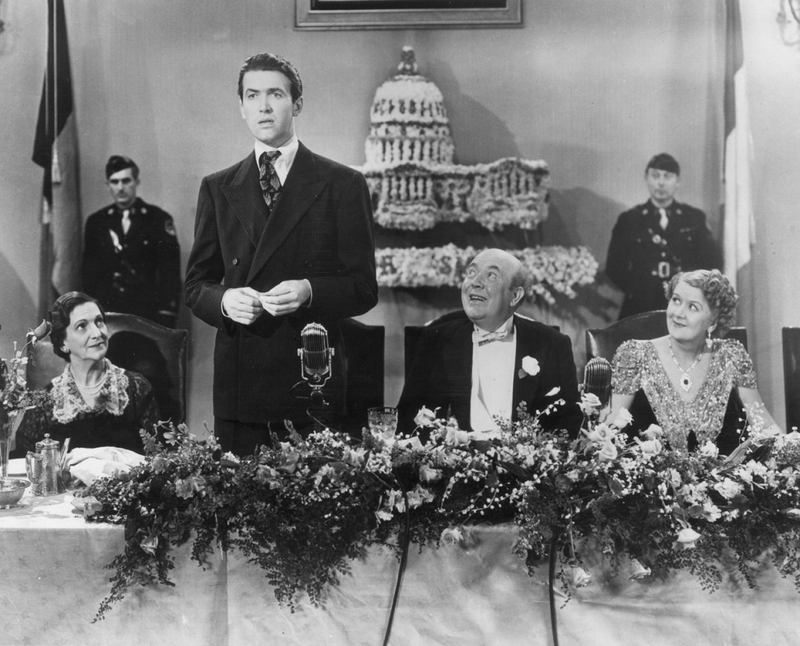 Beulah Bondi, James Stewart, Guy Kibbee, and Ruth Donnelly in “Mr. Smith Goes to Washington,” courtesy of Getty Images, accessed IMDb.com. 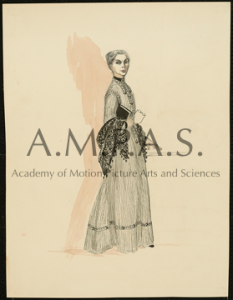 Montage: The Journal of the Academy of Motion Picture Arts and Sciences, Vol. 1 No. 1, (May 1939), p.22, accessed Margaret Herrick Library, Academy of Motion Picture Arts and Sciences. Bondi received recognition and accolades for her supporting roles, receiving commendation by the New York Times for her role in the 1939 film On Borrowed Time, in which she played opposite Lionel Barrymore. She was nominated for an Academy Award for Best Supporting Actress in 1936 for The Gorgeous Hussy and 1938 for Of Human Hearts. At the sunset of her career, Bondi received an Emmy award in 1977 for Outstanding Lead Actress for a Single Appearance in a Drama or Comedy Series for her portrayal as Aunt Martha on an episode of The Waltons. The Vidette Messenger aptly concluded in 1976 that Bondi “deserves a place in the series of local celebrities-and unlike some who have gone off to conspicuous success in the entertainment world-she never belittled the town that was the scene of her childhood. She is a product of Valparaiso-and proud of it.” In her 80s, Bondi quipped to the newspaper that same year “‘I never played an actress my own age . . . I now play girls of 16. '” The acclaimed Hoosier passed away on January 12, 1981 in Hollywood, leaving behind a legacy of compelling silver screen characters. 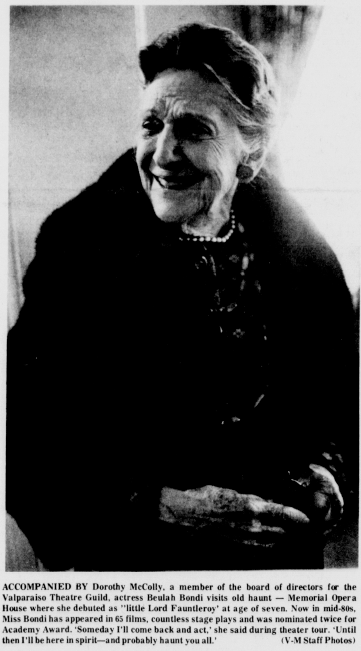 Jo Mannies, “Beulah’s Debut 47 Pages Long,” Valparaiso Vidette Messenger, April 13, 1976, 1. 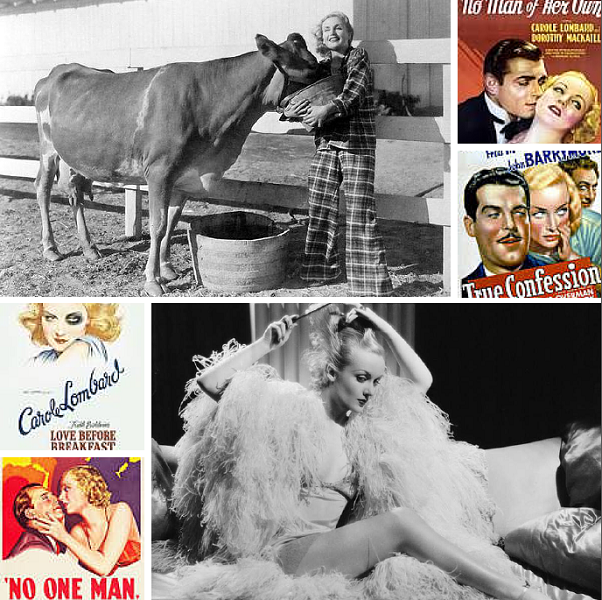 Jane Alice Peters became one of America’s favorite movie stars of the 1930s as Carole Lombard. She was born in Fort Wayne in 1908 and spent the first six years of her life in the shingle-style house on Rockhill Street that was built about the year 1905. Her grandfather was John Clouse Peters, one of the founders of the Horton Washing Machine Company, and her mother, “Bess” Knight, was a vivacious and strong actress descended from “Gentleman Jim” Chaney, an associate of the notorious robber baron of the 1880s, Jay Gould. Described as a tomboy in her youth, Jane Alice fondly remembered her young days in Fort Wayne, attending the Washington Elementary School a few blocks to the south and playing rough games with her brothers, “Fritz” and “Tootie.” While the actress is remembered for her WWII work promoting war bonds, her philanthropic efforts began in Fort Wayne during the Great Flood of 1913. Under the direction of her mother, Bess, her house became a rescue center for flood victims, among other reasons, because the family had one of the only telephones in the area. Jane Alice also remembered helping her mother collect supplies, run errands, and help care for those displaced by the rising waters. 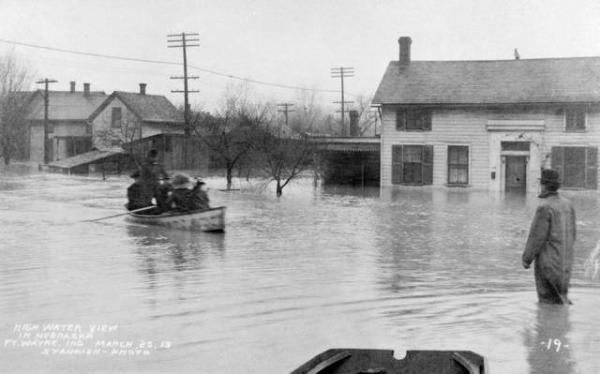 Flooding in Fort Wayne, 1913, image courtesy of The History Center, accessed Fort Wayne News Sentinel. Her dynamic Hollywood career was highlighted by roles in Mack Sennett films, steamy romances, marriage to William Powell, exotic parties, outstanding comedy roles in major movies opposite the best actors in the business, and, marriage to actor Clark Gable. She starred in films such as Mr. & Mrs. Smith, My Man Godfrey, and Nothing Sacred. 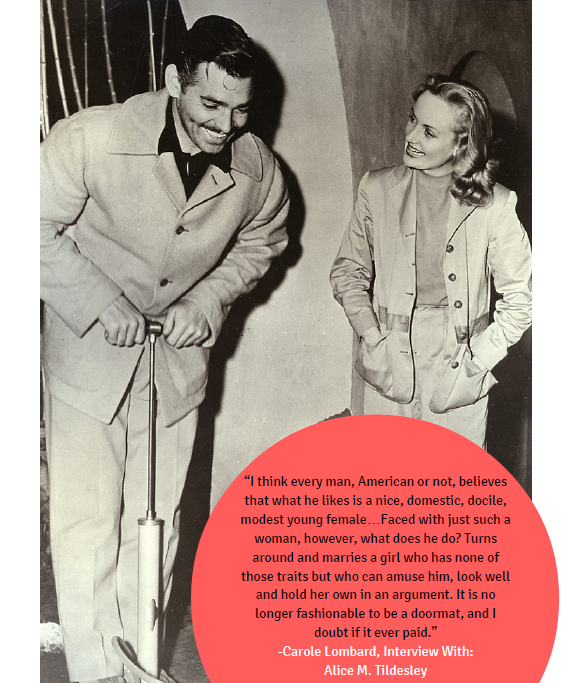 Photo of Carole Lombard and Clark Gable courtesy of theredlist.com. 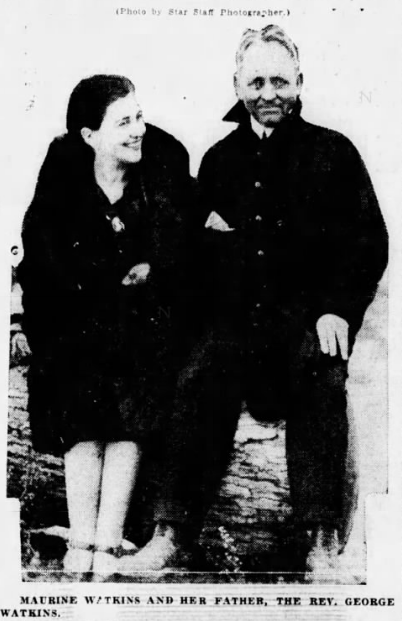 Lombard with Indiana Governor Henry Schricker, courtesy of caroleandco.wordpress.com; Hammond Times, January 16, 1942, accessed NewspaperArchive.org. Lombard sold a record $2 million in bonds to Hoosiers. Tragically, the following day, her plane crashed in Las Vegas, where she lost her life at age 33. Twenty-two people were killed in the accident, including Lombard’s mother, young servicemen en route to war duty, and agent Otto Winkler, who had begged her to return to California by train. 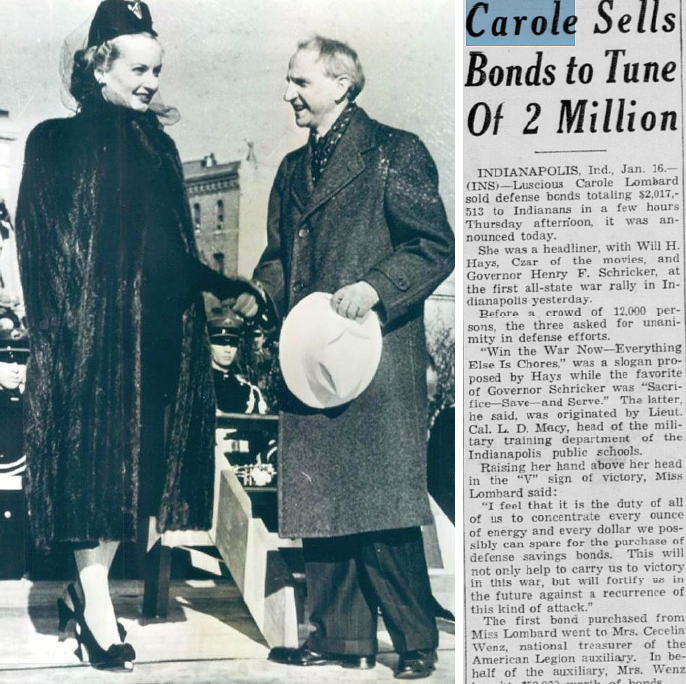 Learn more about Lombard’s life and the devastating way in which husband Clark Gable found out about her death via Photoplay’s 1942 article.